Put your name and your message at the forefront with Hello! 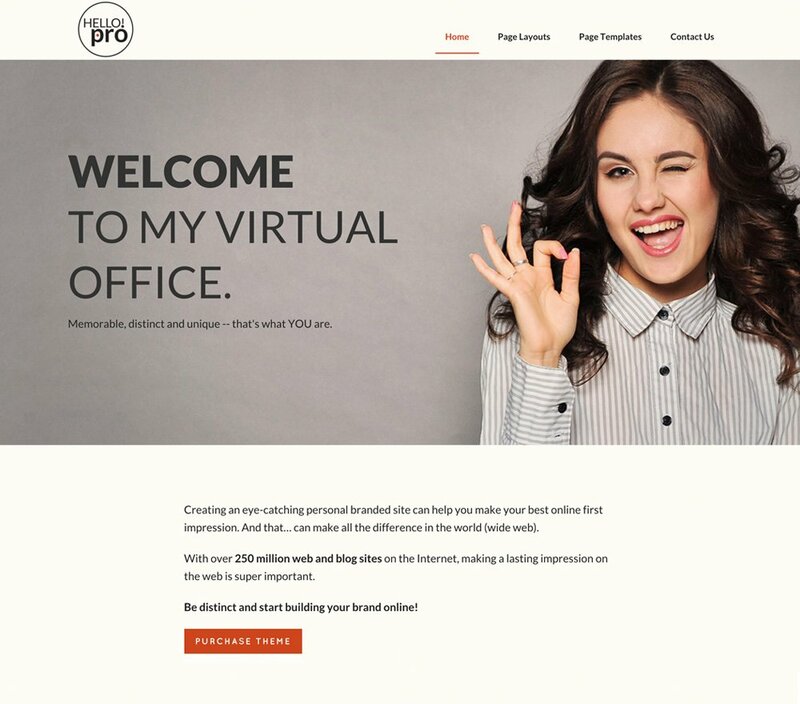 Pro, the theme that establishes your unique personal brand. Give a warm welcome to site visitors and draw them into your brand messaging with this beautiful premium theme from StudioPress. This is a third party theme, which means it is has been developed by and is supported by brandiD. Choose from a selection of pre-made templates to build your site: Default, Archives, Categories, Landing, Portfolio and Blog. Build up your site with a number of homepage and 3 footer widget areas that you can customize to fit your brand. Get your site up and running with the Hello! Pro Theme and the Genesis Framework today.